GESAB maintains throughout it’s evolution the innovative spirit that has characterized it since its origin, applying to all areas of its business, from concept and product design, engineering study and development of projects to communication with our clients. Our goal is to be in direct contact with all users in a regular communication network through social networks like Facebook, Twitter , Google +, Pinterestor Linkedin Our Internet presence provides information on the latest news about GESAB, updated in the website or in the newsletter, with content up to date about new events, technical information, design of custom environments, whole space, interior design, projects engineering, and much more. 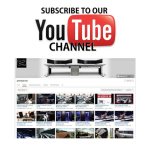 Effectiveness and dynamism are values that are part of our essence and it is shown on our YouTube channel, where we already surpassed 25,000 views. And we do not stop. 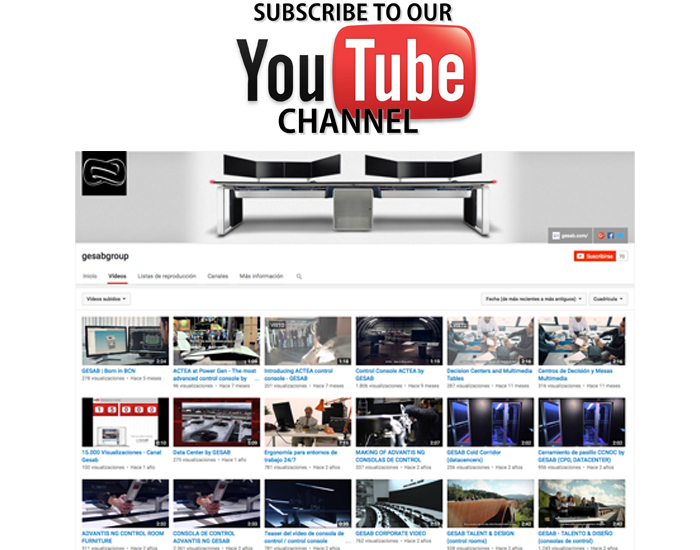 We continue to show videos where you will see in high quality the evolution of our products and the latest trends in audiovisual systems. Follow us on social media. And if you do not want to miss our next video, subscribe now!